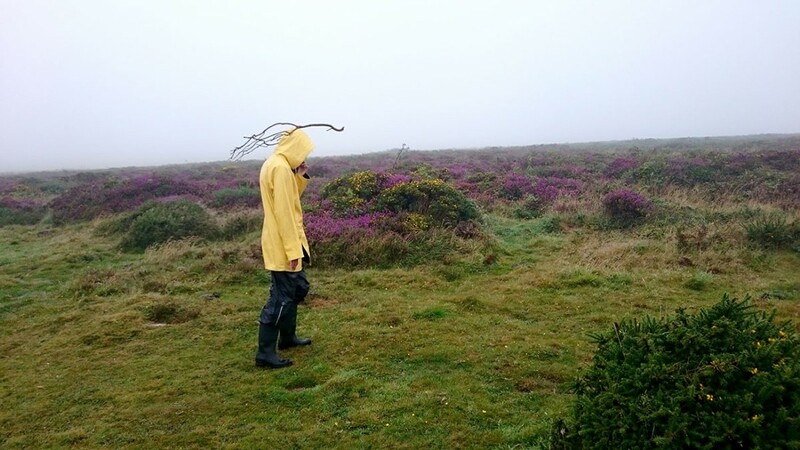 In its inaugural year, the Cornwall Research and Performance Lab was hosted by artists Alexandra Zierle and Paul Carter (Zierle & Carter) in the southwest of England in the World Heritage mining region of Cornwall, in St Just a few miles from Lands End. The Lab was originally conceived from an idea of artist Marita Bullmann to pool networks and contacts and invite a number of performance artists for a week to gather, spend time together, share ideas, practice, methodologies, research and seed new works and enquiries in a informal and peer equal way, with no leaders, offering space for solo and or collaborations manifestations to unfold organically from a temporal and immersive creative hub. With Cornwall offering a plethora of interesting natural, and post industrial sites, artists Zierle & Carter hosted artists in and around their home, using it as their research base, venturing out in all weathers to mining sites, tourist attractions, beaches, moorland, mythological places, as well as ancient Iron Age and pagan sites.